Don William Davis would be dead by now if the state of Arkansas followed through on its plans. In 1990, Davis — riding a four-day cocaine high — shot and killed Jane Daniel, 62, after he broke into and burglarized her home in Rogers, Arkansas. Two years later, he was convicted and sentenced to die. Ever since, he has sat on death row in Varner supermax penitentiary; for months, he’s taken no visitors as his execution date drew near. But as the May 1 expiration date for Arkansas’ supply of lethal injection drew near, Gov. Asa Hutchinson said he wanted to execute eight men, including Davis, in 11 days. Since the U.S. Supreme Court reinstated capital punishment in 1976, no state has executed so many men in such a short time, said Robert Dunham from the Death Penalty Information Center. 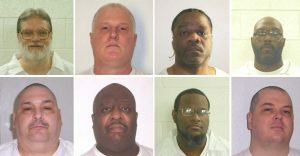 Arkansas planned to execute two men per day starting after Easter Sunday on April 17, April 20, April 24 and April 27. Don Davis would be the first to die. “Now some of you may think that someone like me cannot be forgiven for all the bad that I have done in this world, but I am not one of them,” Davis wrote in what he believed to be his final statement before his execution was put on hold. “And if you think that I cannot get in the Kingdom of Heaven, then that is between you and your God and that is all I have to say on this subject,” he added, according to the document, which was provided to the NewsHour. Earlier this month, the group of men originally scheduled to die grew smaller after appeals on behalf of Jason McGehee and Bruce Ward succeeded. The state and attorneys for the remaining men launched a flurry of appeals, too. Their fate is uncertain hour to hour as the expiration date gets closer. The fight for Davis’ life escalated through a series of appeals and counter arguments to the U.S. Supreme Court late Monday. Without knowing if the court would offer an opinion, prison personnel preemptively served him his final meal on death row of fried chicken, mashed potatoes, rolls, great northern beans, glazed carrots and strawberry cake, said Solomon Graves, a spokesman for the Arkansas Department of Correction. With the court’s decision, Gov. 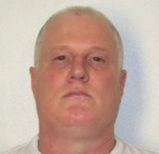 Hutchinson would have to schedule a new date for Davis’ execution, and five men in Arkansas still face the death penalty before May 1, according to the state’s Attorney General Leslie Rutledge. The first, Stacey E. Johnson and Ledell Lee, would be executed on Thursday, pending any appeals or court decisions, said Judd Deere, a spokesman for Rutledge’s office. Jane Daniel’s daughter, Susan Khani, recently told NBC News her family has “suffered long enough, and my mom really suffered.” In 2010, the Supreme Court also spared his life six hours before he was scheduled to die. This time, she said she wanted Davis’ execution to happen. 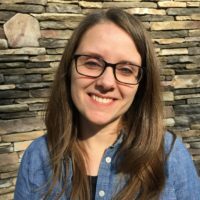 People who have spoken with Davis say he has changed since he killed Daniel. Back in 2006, when Davis still took visitors, a 17-year-old Catholic high school student from Little Rock followed a journalism class assignment to Arkansas’s Death Row. He sat across plate glass from Davis. The inmate’s hulking presence looked like Bill Clinton if the former president and Arkansas governor had been a football player, Chase de Saint-Felix recently told the NewsHour. Chase de Saint-Felix, now 28, teaches ethics, religion and theology to Catholic school boys in Baltimore, Maryland. In his classes, whenever the idea of evil people emerges, his thoughts return to the day he met Davis. READ MORE: Should states ban the death penalty for people with severe mental illness?